Republican presidential candidate Rep. Ron Paul, R-Texas, campaigns at the University of Southern Maine in Gorham in January 2012. On Thursday, Aug. 23, Republican National Committee voted to support a compromise that would seat 10 Maine delegates pledged to presidential candidate Ron Paul and 10 alternate delegates, according to Maine Republican Party Chairman Charlie Webster. 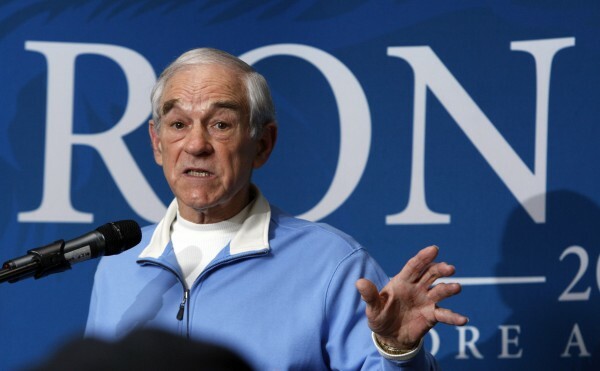 AUGUSTA, Maine — A national Republican committee offered a scathing analysis of Maine’s GOP convention at which a slate of Ron Paul supporters was chosen to represent the state at the national convention in Tampa next week. As a result, the full Republican National Committee voted late Thursday morning to support a compromise that would seat 10 Maine delegates pledged to presidential candidate Ron Paul and 10 alternate delegates who support Mitt Romney. The vote follows a Committee on Contests ruling Wednesday that flaws with the way Maine’s state GOP convention unfolded in May and invalidated the selection of 20 Maine delegates committed to Paul. “The convention was riddled with serious credentialing, ballot and floor security issues affecting the election … of delegates,” the 26-page report concluded. The problems started, the report said, when the convention doors opened at 8 a.m. Saturday, May 5 and a line of people waiting to check in stretched a quarter mile across the parking lot. Brent Tweed, one of the contested delegates, who served as chairman of the Republican State Committee in May, said Thursday night that despite the Committee on Contests’ report and recommendations, he and other Paul supporters from Maine have not given up and were pinning their hopes on a RNC credentialing committee hearing scheduled for Friday morning. Tweed said he hadn’t read the Committee on Contests’ report closely, but had heard during the day Thursday what it contained — namely an indictment of the way the state convention was held. The report identified a number of problems with the process that unfolded at the state convention. The credentials committee at one point during the two-day convention said 336 delegates were in attendance from Aroostook County. A delegate said that was absurd and the committee later said there were 79 delegates from The County, the report said. The delegate said that was also absurd and that the most The County had ever had at the convention was 46 delegates. A motion was made, and accepted, to change the number of Aroostook County delegates at the convention to 46. Immediately after, a motion was made to reduce the number of delegates from Franklin County from 70 to 57, the report said. The contest committee suggested a new slate of delegates split between Paul and Romney supporters. The move represents another setback for Paul supporters who seek to seat all 20 Maine delegates pledged to the libertarian-leaning U.S. representative from Texas at the national convention. Peter Cianchette and Jan Martens Staples, longtime Maine Republican party leaders and Romney supporters, challenged the results, arguing that lax credentialing and security at the state convention allowed unqualified participants to cast votes. The contest committee urged Republican leaders and Paul supporters to work out a compromise. Maine’s delegation remains the lone holdout not to have reached an agreement on how many of the disputed delegates will be recognized at the national convention. The 20 Paul delegates remain united in rejecting any compromise proposal, Ryan told the Bangor Daily News by phone Thursday morning. The Paul delegates have received no new compromise proposal and are not in regular contact with Republican party officials or representatives of the Romney campaign, she said. Lawyers representing the Maine delegates continue to work on their behalf. On Thursday, McDonald reiterated his position that the Paul delegates would not compromise and characterized the Committee on Contests decision as a “recommendation.” He noted that Gov. Paul LePage has promised not to attend the convention if the Maine group isn’t seated. When contacted by phone Thursday morning, Brent Littlefield, a political adviser to LePage, declined to comment on whether the governor would attend the national convention. “At the point when I have a comment, I’ll issue a public statement,” he said. Pete Harring, a Paul delegate, will attend the convention. His flight leaves Saturday morning. “I was a duly elected delegate and I’m going to Tampa,” he said Thursday morning. He intends to be on the convention floor Monday. “It looks like this is going up to the last minute,” Harring said of whether he will be recognized as a delegate. Ryan expects a decision from the credentials committee by Friday. If that panel rules against seating all 20 Maine delegates committed to Ron Paul, “We’ll have a meeting of the delegation to decide what we’ll do next,” she said. If they do not receive credentials, Ryan and Harring said Thursday that the Paul delegates from Maine would explore finding someone to make a motion from the convention floor to seat them. The Paul campaign hopes that it can have enough delegates seated to place Paul’s name into nomination during the convention, which would allow him to make a speech. Earlier this month, Maine GOP chairman Charlie Webster offered a compromise to the Paul delegates. His deal would have let them attend the convention but obligate them to vote for Mitt Romney if Paul doesn’t have sufficient support to be nominated for president. The Paul supporters rejected that plan. Last week, Maine delegates who back Paul sought an injunction against the Republican National Committee to stop it from investigating whether they were legitimately chosen to represent the state at the GOP convention. Bangor Daily News writer Christopher Cousins contributed to this report.